Patented lean construction and installation process. For commercial, residential and education markets. Our natural stone walls cost significantly less than traditional stone walls built on-site. The beauty, history and exceptional quality of natural stone cannot be replicated by any other material. NSWS® walls are structurally engineered to outlast traditionally built walls and come with a lifetime guarantee. Our patented lean construction, delivery and installation process means NSWS® walls are up in days, not weeks or months. Amazing job! We are so happy. It looks like it has always been there. We'd just like to say how much we've appreciated the efficiency and professionalism of you and your team. We realize that a project of this scope has a lot of moving parts, but you've been to able to get the work done quickly and seamlessly; job well done! 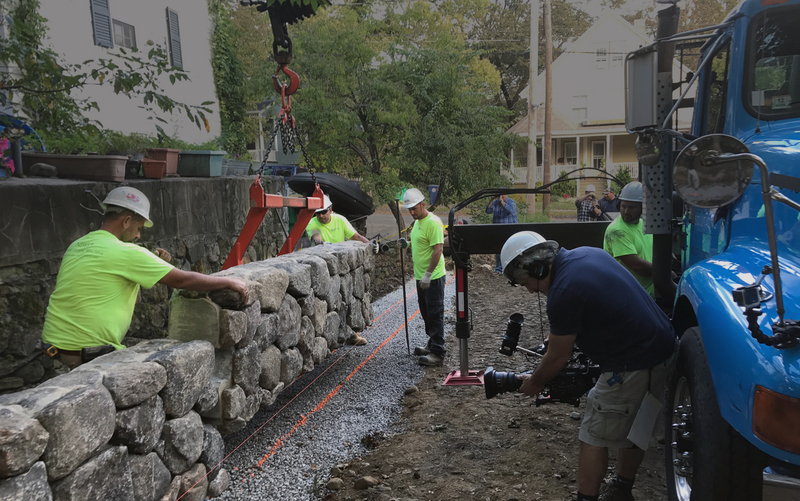 After getting several different quotes for a stone wall, NSWS was not only the most economical, but they also had the quickest install! The whole process lasted only 3 days and our natural stone wall looks beautiful. I wanted to send you a note to let you know how pleased everyone who has seen the wall is with the final product. And I want to add that I was pleased with everything about the process. It was a pleasure working with you on this; and I have no doubt that it will not be for the last time. We want you to know how happy we are not only with the wall but with the whole experience of working with NSWS. From the first phone call to the end product, it was a pleasure dealing with you. We are not kidding when we say that we are telling everyone about your product and professionalism. The resulting project looks like something right out of Homes and Gardens magazine. We are very pleased with NSWS, their craftsmen, the quality of the work and would recommend Natural Stone Wall Solutions to anyone. For a quality product delivered with professionalism, I enthusiastically recommend Natural Stone Wall Solutions. Natural Stone Wall Solutions provided handsome walls and landscaping that immediately won the praise of our neighbors. 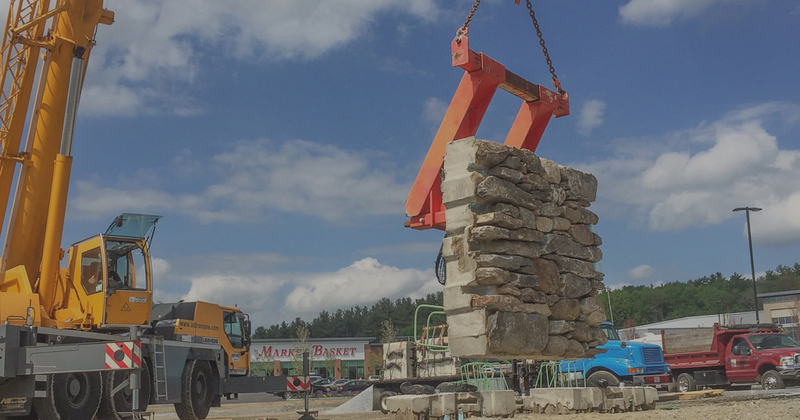 In addition to its economical and structurally robust technique, sections of stone wall were built offsite and trucked to our house, Natural Stone Wall Solutions deserves praise for its skilled stone masons. I want to let you know how much we appreciate all you did on this project. We are beyond ecstatic, not just about the finished product, but also with the amazing customer service you and your entire crew provided throughout.